AAGM is dedicated to offering our members opportunities for career advancement and networking with peers. Whether you're getting certified through a professional course or just brushing up your leasing skills at a seminar, staying current on the ever-changing apartment industry is vital to your success! 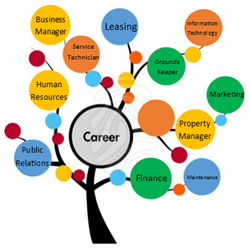 Check out our ALL NEW Career Center! This is a dedicated search and recruitment resource for apartment professionals and employers. We offer simple and easy-to-use tools to make searching for career opportunities and finding qualified professionals faster, more efficient, and more successful than ever before! Post 1-50 open positions at once. The more positions you post, the more you save! Post open positions in multiple states, not just Memphis! The AAGM Career Center gives job seekers access to inside opportunities only available through the Association and provides the tools needed to quickly find and apply for jobs. Key features for job seekers include: advanced job searches, customized job alerts, ability to apply online for jobs and post your resume so employers can search for you!